Hi my name is Maureen and I am a Pinterest addict. I like Pinterest. No, Pinterest does not take a lot of time. Or should not take a lot of time. I think someone shared that very message in a graphic form and I “Re-Pinned” it. I probably pinned it on my “funny” Board on Pinterest. I never did Farmville, or Mafia Wars on Facebook. I don’t play Angry Birds, Words with Friends or any game on my cell phone… or computer. I never have. I like games. I like board games. Bananagrams, Trivial Pursuit, I used to love Monopoly. I remember when I was addicted to… hmmm the name escapes me. A game about “Klout” but it is not Klout…. Most of the big winners there seem to be gaming the system… what is that site? I had to limit myself to looking at it once a day, when I was addicted to it. Now I go weeks at a time without revisiting that site. The name will come to me. It took more time than Pinterest (it is nothing like Pinterest) you bought and sold people. It is a stock market kind of game. You get value based on interaction on Facebook, Twitter, etc. You got some value from blogging but not enough. The name will come to me yet. I made the mistake of talking about Pinterest on a real estate network and got jumped by an SEO (search engine optimization ) EXPERT who I guess is also a social media expert. Somehow it took some of the fun of Pinterest out of it for me. The expert said Pinterest is the same as Facebook. Really? Pinterest’s TOS says it is not for business but I have included images from my real estate sites. Gaming? Photos of Columbus, Worthington, etc. That other site I was addicted to a few months ago was Empire Avenue…. I am starting to become addicted to Pinterest too! I love it! It is a great visual way to save all the stuff I like, find funny, wish I had, love to read, etc. AND share it at the same time! I made a board of all the blogs that I like to try and visit and comment on so that I can find them all easily on one page, and maybe someone else will too. Funny I unfollowed your boards last night. Calling out the names and locations of other agents just seemed icky to me. It was not as bad as the person who was posting agent head shots the day before and for some reason I did not unfollow her boards.. It reminds me of some silliness a bunch of us did on Trulia Voices a number of years ago. Someone in the industry observing what we did called it lobbing soft balls at one another. At the time it seemed like we were adventurers in uncharted territory. Not going to name names, it was probably 2007 we were innocent. Every once in a while someone finds those old questions we lobbed back and forth to one another, in a semi spammy kind of way when you look back at it, now and the threads come alive. Laurie Manny may she rest in peace, sent me a new response about one of the Columbus questions shortly before her death. At least Trulia is a real estate network. It is lots of fun to watch how the real estate industry uses Pinterest. I will have to watch if using it to link to other agents and say their names pays off. Wow. I never thought that someone would find that tacky, I was using Pineterest for what it was – a bulletin board to save stuff. I like to follow my friend’s blogs and that seemed like an easy way to do it, have them all on one place, and then if someone else asked me what blogs I read (sometimes they do) I could send them my board. BTW, they are not just agent blogs. Several of them are personal blogs as well that have NOTHING to do with real estate. I can’t help it that Pintrerest announces every move I make to the world, unless there is some setting I’m missing. Oh well. To each his own. 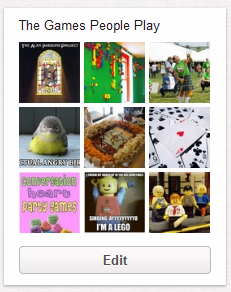 Wonder if people will see my local boards as tacky too, because I am putting the names and locations of the restaurants, activities, and other businesses in the descriptions of my pins. I guess I could have just unsubscribed from a board last night. That did not cross my mind. I am no social media guru or arbiter of taste. Just like every other online site I or anyone else could lose interest in Pinterest at any time, so don’t worry about one opinion (including mine.) Just not something I am interested in, it does not seem that visual to me. I get that you were using a photo but the text for the photos was what I found uninteresting. Thanks for the comment Molly, I am not much of a DIYer so I don’t have craft Boards, DIY boards or anything like that on Pinterest YET . I am NOT a completer of DIY type things myself and am pretty in touch with that fact so that has not been a problem for me. Who knows maybe I will try something, someday I see there but until then I am just a big old appreciator of those who do, do crafts. hmmm your recent post showing up here through the magic of a WP plugins is telling me I can do anything….